We are sure many of you have noticed that the article we had published late last night was taken down early this morning. The reason for it was simple, there is something hinky going on and because we are always very conscientious of the truth, we wanted to take a step back and try to make sense out of the chaos. We still haven’t quite figured it all out but we felt we at least owed you an explanation. In direct violation of League Bylaws, when Ann Mills-Griffiths, now Chairman of the Board of Directors of the League, was made aware of Susie’s actual status in the Geist case, she maintained that Susie could continue as a voting member and League Board member because, “The dissolution of their marriage did not result in Susie’s being disqualified as a voting League family member, nor has it since.” Well, regardless of Ann’s statement, Susie Geist-Ragan-Stephens-Harvey is illegally sitting on the Board of Directors of the National League of Families. The next question pertains to how Susie’s illegal status as a family member per League Bylaws affects her present husband, Allen Harvey’s status with the League. Interestingly enough, once the POW Warrior blog made the POW/MIA Community aware of Susie’s illegal status, while Susie’s status as a voting member and Board member did not change. Her husband Allen’s membership was downgraded to Associate Member we have been told. Why wasn’t Susie’s? Why wasn’t she removed from the Board? Once again, AM-G is disregarding and circumventing League Bylaws to suit her own personal agenda. In the fall of last year we put in a FOIA request for the military records for Allen Harvey to see if his story held up in light of Susie’s interesting past. What we found was a bit less murky but still unclear. It would appear that in a city of some 136,000 people, there are not only two Allen Harvey’s but each of them is married to a woman named Susan and each of these ladies go by the nickname “Susie” and that nickname is spelt the same way as well. The coincidences do not end there. Both couples appear to be in the same general age group, lived in the same neighborhoods, and at some point even on the same street but not necessarily at the same time. The age we had for Allen Harvey was far too young to have served in Vietnam so we decided to look into it. When we initially sent in our FOIA request, the only Allen Harvey that we could find with a wife by the name of Susan at the same address was an Allen D. Harvey. Additionally, they were the only Susan and Allen Harvey in Savannah who were listed as owning a home together in the Chatham County, Georgia Assessor’s Office database. When we received the reply to the FOIA, it stated that there was not an Allen D. Harvey matching that address and other vital statistics that served in the Armed Forces. When those results came back we did some more digging and the odd possibility that there were two Allen and Susan Harveys living in Savannah, Georgia presented itself. Looking back, an article from 2008 listed Allen’s middle initial as “B” so we concluded that B and D could easily enough be mixed up so we sent another request in for records. We will know more in four to six weeks. Recently we contacted the Vietnam Veterans of America, which Allen belongs to, to get their reaction to what we had found and surprisingly one of their officers in Georgia informed us that Allen’s middle initial wasn’t B or D but E. Now if you access any of the people search engines that are online (we prefer zabasearch.com), you will find that the only Allen E. Harvey in Georgia is listed as not being in Savannah and with an age of 55 – too young to have served during Vietnam. We would like to encourage readers to go to the various people search sites and see for themselves the wide array of Allen and Susan Harveys in Savannah, Georgia and Georgia in general. One thing that did come to light as we expanded our search was that the residence that Susie has listed with the League is still under the name “Susan Stephens,” the name she used prior to marrying Allen. This would explain why we only found one Allen and Susan Harvey in the real property records for their county – She never changed it over to her married name and Allen was never added to the deed. It is our hope that Allen’s military records can be cleared up and we can confirm his military service. While we prefer to deal in facts alone, in this case we have a gut feeling about Susie’s husband Allen. As we shared in email correspondence with the VVA, it did occur to us at one point that Allen might have not been aware of his wife’s true lineage with regard to her connection to the Stephen Geist case. We personally found it hard to believe that a Marine would knowingly go along with Susie’s charade as the sister of a MIA. It is quite possible that Allen had been kept in the dark as much as we were. If that is the case, Susie has left quite a wake in her path. As we have been highlighting over the past week or so, Susie/Susan Lowenthal-Geist-Ragan-Stephens-Harvey, a newly elected National League of Families (NLF) Board Member has two serious issues pending over her illegal status as a family member. First, Ann Mills-Griffiths has knowingly allowed Susie to remain in a voting-right status as well as illegally run and subsequently hold a seat on the Board of the NLF. AMG has made multiple arguments as to why Susie should remain in her new Board position as well as her illegal status as a family member- all of which are blatantly against NLF By-Laws. Secondly, as we have documented in recent posts, Susie has also been portraying herself as a blood family member, the biological sister of US Army Special Forces SSG Stephen J. Geist. Susie, in her first marriage, was married to SSG Geist’s brother, a marriage which dissolved sometime in the early 1990’s. Susie has since remarried and divorced two more times and is presently married to husband No. 4, Allen Harvey. Also as part of this imposture, Susie has also given the impression that she is much older than she truly is to add to the embellishment of her story as an MIA sister. According to background checks and vital records, Susie was born in November 1959, making her approximately 51-year-old at the time of this posting. As stated in previous articles, Susie would have been 8 years and 10 months old when SSG Geist went missing. Keeping all of these vital statistics in mind, we would like to discuss, in detail, an article that appeared in The Frontline, the newspaper for Fort Stewart Army Post, located in Georgia, Susie’s present home state. Based on her November 1959 date of birth, Susie was merely a child when SSG Geist left for Vietnam. At that time she was certainly not yet his sister-in-law and obviously, not his biological sister. In this article, Susie would like to give the readers the impression that she was in college at the time, which we know she could not have been; she was in elementary school. Given her age, even if Stephen Geist had been a neighbor or family friend at the time, it is very hard to believe that a soldier of the magnitude of Special Forces would even think of saying something like that to a child. Susie goes on to tell the reporter about the contents of the letters that Stephen sent home while in Vietnam. It is quite possible that she had access to these letters at some point while she was married to Stephen’s brother. Yet, it is important to note that these were not letters sent to her but to Stephen’s biological family. Next Susie tells of how the news arrived to “her parents” that Stephen never returned from his mission on September 26, 1967. “My parents requested being told any bad news in person instead of receiving a letter or a phone call. My mom saw the Army car come up with the chaplain and she knew instantly.” As many of you know, at that time notices came via telegram and a few days later a local recruiter would come by the house to give the primary next of kin the details and what was being done to find the missing man. There were no lists of choices that a family could pick from as to how they wanted to be notified. Susie apparently chose to take advantage of the emotional imagery of men in uniform arriving at a family’s home. Susie claims that in September of 1967 she was away from home in Pennsylvania attending college. (Remember, she would have only been 8 years-old at the time). She spoke of the antiwar protests that were breaking out all over college campuses and details how an Army chaplain came to her dorm to tell her that her brother was missing. Again, Susie shows her lack of knowledge of how a notification was handled in 1967. If she had been Stephen’s sister, she would have never received the news from an Army chaplain, she was not the next-of-kin and it would have been the NOKs responsibility to notify the rest of the family of the situation. Next Susie tells the reporter, “From then on I couldn’t go anywhere on campus without being singled out.” Which is odd considering the fact that family members were routinely told to go on with life as usual and to share this information with no one because it could put their loved-one’s life in danger. So, the idea that it was general knowledge on any college campus is again highly unlikely. She tells of having been spit on and told to go back to Vietnam, take her parents with her and die because they were all baby killers. Considering the fact that Susie wasn’t even in college at that time, this is one incredibly stereotypical tale to garner sympathy and admiration from the readers as well as the reporter. It is worth mentioning again that this entire article is complete and utter fabrication. Susie was not at college in 1967, she was a school girl just learning to read and write. She never had a chaplain come to her dorm, she never experienced anti-war protesters in college nor was she ever singled out for being part of a POW/MIA family. In all probability, at the age of 8, the name Geist meant nothing to her yet. The part of her story that hit us here at The POW Warrior the hardest was the hoax of being spit on and told to go to Vietnam with her family and die with all the other baby killers. Feigning sentiments and events that others have truly experienced to pull at the heart-strings is, in a word, revolting. While there are other aspects of this article that we would normally address; there is much more to discuss before closing the chapter on Susie for now. Yet, most likely the ultimate slap in the face is Susie’s statement that she wants closure for her ‘brother’ by going on to say, “even if it is a jar of dirt.” A jar of dirt? Who among the families, from any war, would console themselves with simply dirt? Who among us would accept DoD’s handling of a case in this manner? Now that we have shown the true Susie/Susan Lowenthal-Geist-Ragan-Stephens-Harvey the question remains, why does Ann Mills-Griffiths value this individual so much? We may have an answer to that question. It has been interesting to us as we researched Susie’s story that she regularly makes reference to being the president of the Georgia Committee for POW/MIA, Inc. This non-profit organization was started in 1986 by Joanne Shirley and JoAnn Shaw. The controversial website, www.miafacts.org, was the only place where we could find anything substantive on this non-profit. This site belongs to retired US Army Col. Joe Schlatter, a former senior DIA POW/MIA analyst and past Deputy Director of DPMO. Schlatter adamantly denies the mindset that anyone was ever left behind after the Vietnam War. 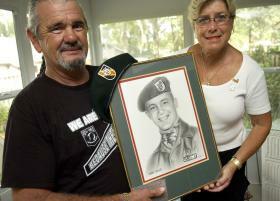 Its main objective is the return of, or accounting for, missing servicemen. It furthers its goal through public awareness activities and relies completely on volunteers to produce a newsletter, public addresses, slide presentations, ceremonies, and to meet with elected officials about the POW/MIA issue. Georgia Committee officers have made numerous appearances on television and radio, and have traveled extensively, at their own expense, to appear on behalf of the POW/MIA issue. In addition, the Georgia Committee maintains close ties with the National League of Families, and disseminates League information to its membership.Funding for the Georgia Committee comes from membership dues, from the sale of POW/MIA memorabilia (POW bracelets, T-shirts, flags, etc.) and donations. Its average annual budget is approximately $8,000. This is where things caught our attention. The Georgia Committee for POW/MIA, Inc. has no website, no contact information anywhere online, not even an email address or phone number. Based on the description given above, one would think that this non-profit would have more to share with the public. In fact, even with all of the mention of this organization in Susie’s 30+ online articles and references; in 2010 this organization reported to the IRS that it had zero dollars in revenue and zero dollars in expenses. These dollar amounts are supported both here, here and here on website that report on the IRS statements of non-profits. Additionally, the address that is submitted to the IRS is simply a PO Box – most likely at a UPS Store or something of that nature. There is no information on line anywhere directing interested parties where to send donations or even contact the organization’s officials. 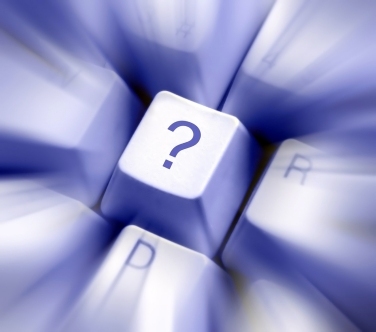 Therefore, how does a non-profit survive with no revenue, no expenditures and no assets? Why is it that whenever Susie posted anything anywhere she listed both her position with the Georgia Committee for POW/MIA, Inc. as well as with the National League of Families? Many would consider this somewhat of a conflict of interest. Yet here is where it gets curious. Instead,the contact information for the NLF is given along with the links to the NLF website. Keeping in mind our “Follow The Money” post a few weeks back; Is it possible that Susie is simply re-directing potential funds for her Georgia Committee right back to the NLF? Imagine the innocent scenario at one of the many public events that Susie attends where a Vietnam Vet asks how he can help the Georgia Committee. Susie directs him to the NLF instead stating that her organization gives the majority of their monies to the NLF and that it would simplify things if he made a direct donation to the League. Does Susie put up a table for the Georgia Committee at these events with a donation jar and simply forwards that money on to AMG? The possibilities are endless. In closing, we would hope that NLF members are insisting that the By-Laws be followed based on their true meaning, that Susie Stephens-Harvey and her present husband Allen be put in their rightful place as associate members and that the motions from the 2011 Annual Meetings which the Harveys either initiated or seconded be stricken from the record. Replacing Susie on the Board is a must as well, whether a new election is held or by sliding the last candidate into Susie’s slot – that is something the entire Board can decide. We would also hope that the US Army Casualty Office is notified of Susie’s true status in relation to SSG Geist. If there is indeed a Power of Attorney or a Letter of Authorization (allowing her to represent SSG Geist’s family at meeting), we would hope that the Primary Next of Kin of SSG Geist be made aware of Susie’s charade and makes the necessary adjustments to any agreement that they may have with Susie. We would also like to see the Board of the NLF give Ann Mills-Griffiths a stern caution with regard to her underhanded behavior keeping in mind that the organization’s reputation and public perception is paramount with regard to the NLF’s true mission. They also should remind her that the organization does not belong to her to use as her personal playground. Instead, it belongs to the membership who has allowed her the privilege of serving them for over 30 years. If the League were to lose their non-profit status over AMG’s refusal to address the Susie situation; the organization can be re-instated, yet without Ann having any role, either official or unofficial. For now, we would like to put the Susie/Susan Lowenthal-Geist-Ragan-Stephens-Harvey story to rest. We believe that we have shown her to be someone who has misused and abused the POW/MIA Issue for personal gratification and we sincerely hope that all of the NLF Board Members see fit to do the right thing. What do AMG, Richard Childress, Dr. Larry Ward, Bill Bell and Colin Powell have in common? We’ll cross that bridge when we get to it! 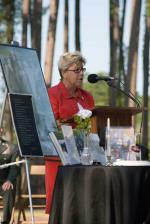 The emotional toll of being a POW/MIA Family Member can only be surpassed by being a POW/MIA. We have all had our sleepless nights trying to piece together what might have happened to him or where his remains might be or, God forbid, what camp he may still be held in. We look at the aging faces of our parents and even our siblings and other relatives who all carry the loss in the corner of their eyes and at every major family event, the topic ultimately always turns to him and how the event seems a bit empty without him there. There is almost the incredible burden that those of us who are the PNOK carry with us – that unshakable responsibility that leaves us with that sometimes empty feeling that everyone is depending on you to get the job done. We daydream of the day that the flag-draped casket slowly slides down the luggage belt of that airplane in our hometown – the day that our missing warrior finally comes home. Few people become more infuriated than we do when we hear about someone pretending to be a former POW, a Special Forces Soldier or a decorated warrior in a feeble attempt to garner sympathy, recognition and attention from those who honor their purported heroism and dedication to country. They humbly accept these accolades and year after year of playing this charade, it becomes second nature. They take credit for actions that men far greater than they would simply shy away from. They tell the lies so often that they become their own version of the truth. Yet, they are still lies, what we also call Stolen Valor. What we are dealing with now in this situation with Susie Lowenthal-Geist-Ragan-Stephens-Harvey is Stolen Valor with a POW/MIA Family twist. The most anguishing part of what we are about to lay out for you is that tomorrow’s article, dedicated to just one of these many online references we found, will almost make your blood boil. Through many hour of Google searching Susie Harvey and the many variations to her name over the years, we were able to show Susie’s progression though the same stages that these military impostors who often have the Stolen Valor act used against them. In fact, there is a website out there dedicated to publicly exposing these men who dare take credit where credit is certainly not due; www.pownetwork.org. We found over 20 links from 1999 to 2011 showing everything from message board posts to interviews done with area reporters where Susie transitions from being the (ex)sister-in-law of US Army SSG Stephen J. Geist to being a blood relative; his sister. What is to follow is a listing, in chronological order, of the various references to Susie over the years using a multitude of variation of the five different last names she has legally held over the years. Interestingly enough, only her maiden name of Lowenthal appears in background check files. We have seen her use L as her middle initial at times but while working the POW/MIA Issue, she never, to our knowledge, made use of that last name. In this January 2001 post on another memorial website: here, Susie again refers to herself as, Susie S. Ragan, SSG Geist’s sister-in-law. In this November 2003 post on a DAV message board: here, Susie refers to herself as Susie Geist Ragan with no mention of a relation to SSG Geist. In this April 2005 post on a Veterans’ message board: here, Susie refers to herself as Susie Stephens (former Ragan) . In this November 2005 email message to the POW Network.org, Susie gives details to add to SSG Geist’s profile: here. Here she clearly refers to herself as a family member, Susie Geist Ragan. At the bottom of the page you will see a link to a PowerPoint slide show that a USMC Vietnam Vet made for Susie. It is entitled, “A Sister’s Love” and makes several references to Susie as Stephen’s sister and her love, admiration and dedication to finding her big brother. In this September 2008 Letter-to-the-Editor of the Veterans in Recovery website: here, Susie Geist Stephens (no Harvey, interestingly enough) sent a letter to this organization for POW/MIA Recognition Day and while she doesn’t specifically state that she is a family member or SSG Geist’s sister, it is clear that she is referring to him as a blood relative, stating that she will be honoring him at the memorial ceremony. In this January 2009 post on the amvets.com website: here, Susie appears to have submitted some NLF newsletter information to the site, using the name Susie Stephens-Harvey and directing readers to the NLF website. In this October 2009 post on the Vietnam Veterans of America website: here, Susie Stephens is listed as a special advisor to the VVA’s POW/MIA Committee through the NLF. 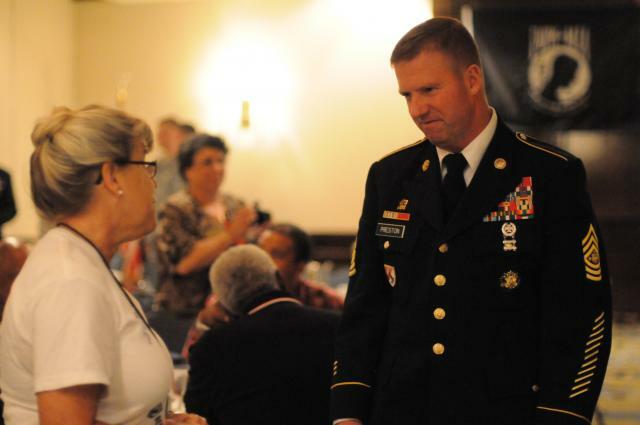 In this December 2010 news article on the US Army website: here, Susie Stephens-Harvey volunteered at this event and was again referenced as being there representing her brother, SSG Geist. What is at issue here is that not only is the NLF Board refusing to follow their own By-Laws and their own policy that has been highlighted in past posts here at The POW Warrior, Susie/Susan Lowenthal-Geist-Ragan-Stephens-Harvey has been publicly portraying herself as a family member, calling SSG Geist her brother and embellishing his story and her role in his life. This is no different from when a man exaggerates his military service, wears a uniform with medals that he has not earned or publicly claims feats of heroism that he never truly took part in. The reason for Susie’s charade might have been noble in the beginning yet she has sought the attention that so many of us shy away from because it isn’t about us, it is about the men. Yet Susie has become what some have called “a professional POW/MIA Family Member” all the while being an impostor. There is even a psychological condition that was defined in the late 1970’s called impostor syndrome. Where Susie falls in not our concern. Our concern is that the members of the NLF Board understand that they do not have a choice. Susie must be removed from the Board regardless of what AMG wants and regardless of how she feels she can circumvent the illegality of this faux pas. We would not be surprised to find out that the illegal nature of Susie’s inclusion on the NLF Board ballot was brought to AMG’s attention before the elections and she simply chose to ignore it because the pros out weighted the cons. We think we know what those pros are and will post them after our final piece on Susie/Susan Lowenthal-Geist-Ragan-Stephens-Harvey. As we told a reader who emailed us, don’t shoot the messenger. No one twisted Susie’s arm to do this and she never made any attempts to correct these claims. Those of us who are family members know that the press can often misquote us and misunderstand what we have told them. Yet, in this case, no comments were ever added to news stories to correct the inaccuracies or updating the article through the reporter. If this doesn’t infuriate you – tomorrow’s article certainly will. Our final piece in the “What a tangled Wed We Weave” series. At the center of the National League of Families’ illegal 2011 elections is Mrs. Susie Harvey. Susie’s first husband, Jeffrey Geist, had a brother who was captured in September of 1967; SSG Stephen Jonathan Geist, US Army-a strikingly handsome Special Forces soldier. For some reason, Susie has been allowed to portray herself as a family member even though her status as a legal family member was severed when her divorce to her first husband was finalized prior to 1999. Yet, Ann Mills-Griffiths and the Board of the NLF refuse to remove Susie from her newly appointed position as an NLF Board Member and no one truly understand why. Clearly AMG can see the illegality of this situation and understands the ramifications of the Board’s inaction. From an organizational perspective, there is certainly cause for concern. Today, Susie sits, illegally, on the Board of Directors of the NLF due to the fact that only family members are allowed voting rights and to sit on the Board. Based on NLF by-laws only blood relatives and legal family members can have family member status. Anyone who does not fit into either of these categories is to be classified as an associate member (no voting rights or ability to hold a Board seat). We must also apologize to our readers. In past posts, we have made an error with regard to Susie and her marital status. What was our error? We stated that Susie’s present husband, Allen Harvey, was her third husband – he is actually her fourth. Susan Lowenthal-Geist-Ragan-Stephens-Harvey was born in Maryland in November, 1959 – she would have been about two months shy of seven years old when SSG Geist entered the Army and eight years and ten months old at the time SSG Geist was shot down in 1967. We have spent some very long hours scouring the Internet looking for references to Susie and SSG Geist. We found several web pages where Susie refers to herself, as SSG Geist’s sister-in-law, even after she had married husband No. 2 (Ragan). At that point, SSG Geist would have been her ex-brother-in-law, yet, somewhat understandably, leaving off the ‘ex’ is something that we can overlook. 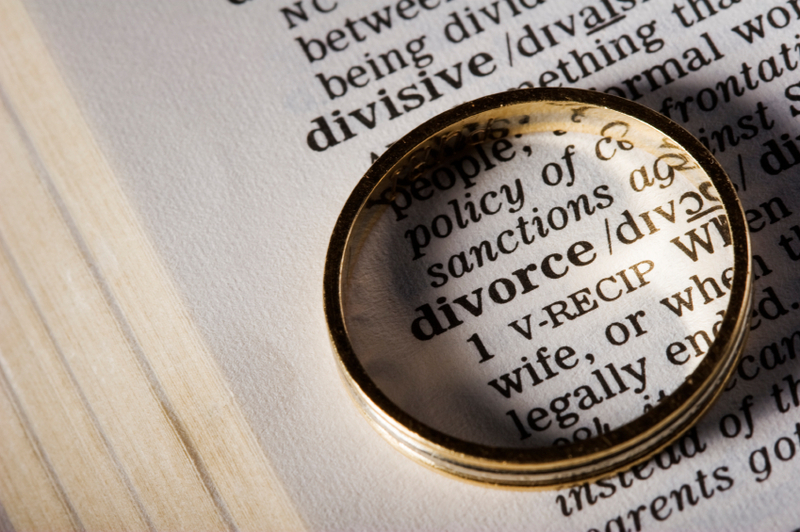 While overlooking the ‘ex’ we cannot over look the legal status change from family member to associate member, as all wives were treated when they remarried in the late 1970’s, 80’s and 90’s. The by-laws are clear – Susie Lowenthal-Geist-Ragan-Stephens-Harvey, just as the wives who remarried lost their status; Susie lost her legal claim to being a family member when she divorced SSG Geist’s brother, Jeffrey. Her present husband, Allen Harvey, had no right to even be given family member status, but we will have more on that in a later post. The crux of this issue is this – every action that Susie and her present husband Allen have made and will make under the guise of “family members” is illegal and, by law, needs to be stricken from the record. Every Board Meeting in which AMG allows Susie to sit is an illegal meeting and the THREE Resolutions that were passed last month in DC at the annual meetings that involved either Susie or Allen supporting a motion or seconding one (Resolutions #2, #5 and #6) are also illegal and must be stricken from the record. A reader brought it to our attention that AMG, during the annual meetings this past July, used the argument of “once a family member, always a family member” when this issue was discussed. Well, based on the number of POW/MIA wives who contacted us and the clear distinction that Larry Echanis, son of USAF Major Joseph Echanis, made in his very poignant letter to the NLF Board on August 11, 2011; that argument is not in the by-laws and has no precedent to our knowledge. Larry’s mother was one of those women who was stripped of her family member status when she remarried. Read Larry’s letter here: NLOF Letter 08-11-2011 Echanis Letter. Based on the handling of past family members who lost their legal status and today’s Susie situation; AMG appears to randomly decides who stays a family member and who doesn’t. What criteria is she using exactly to make these status changes? Is there a statute in the by-laws that gives her that power to make these vicarious decisions? In Part II we will share the specifics of the professional POW/MIA Family Member life that Susie falsely orchestrated for herself over the past 12 years. There may well be a Part III and possibly a Part IV as we are still attempting to sort this all out. Some of it will simply leave you shaking your head.